Miami, FL, November 14, 2017— Board members of the National Black Nurses Association met with executive leaders of VITAS Healthcare, the nation’s leading provider of end-of-life care, to present a joint resolution entitled “End-of-Life Care: Transitioning Patients with Dignity and Family Support.” The resolution was first presented at the NBNA’s Annual Institute and Conference in August in Las Vegas, Nevada. Representing the NBNA at VITAS’ Miami headquarters were board members Sheldon D. Fields, PhD, RN, FAAN, Dean and Professor, School of Health Professions at New York Institute of Technology; Martha Dawson, DNP, RN, FACHE, Assistant Professor and Coordinator of Nursing and Systems Administration at the University of Alabama at Birmingham School of Nursing, and Trilby Barnes-Green, RN, Telemedicine Triage Nurse, Accountable Care Division at Ochsner Hospital, New Orleans, LA. 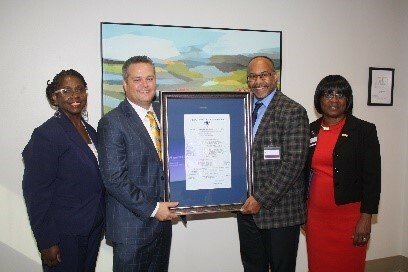 Together they presented VITAS CEO Nick Westfall, President David Wester and Vice President of Community Affairs Diane Deese a framed copy of the VITAS / NBNA resolution. Ms. Barnes-Green reviewed some NBNA program highlights that VITAS championed in many of their 100 chapters, such as Missing our Moms: Sons and Daughters Remember, Crossing Over Jordan, ELNEC Training, scholarships and other events. NBNA also acknowledged VITAS for their bereavement support to the City of New Orleans after Hurricane Katrina devastated the community. For that reason, the NBNA New Orleans chapter extended the “Keys to their chapter” and a proclamation by the New Orleans City Council to each VITAS executive. This special recognition was also extended to VITAS Executive Vice President Peggy Pettit, who is a lifetime member of the NBNA and was not present at the meeting. 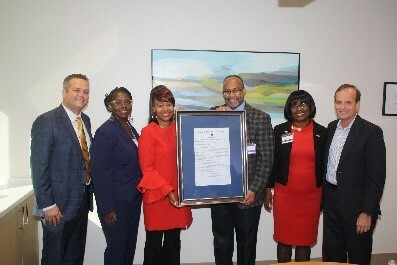 PHOTO 1: NBNA Board Member Dr. Martha Dawson, VITAS CEO Nick Westfall, NBNA Treasurer Trilby Barnes-Green and NBNA Board Member Dr. Sheldon Fields presenting the NBNA End-of-Life Resolution to VITAS Healthcare. PHOTO 2: NBNA Board Members and VITAS CEO Nick Westfall, President David Wester and VP of Community Affairs Diane Deese accepting the NBNA End-of-Life Resolution. 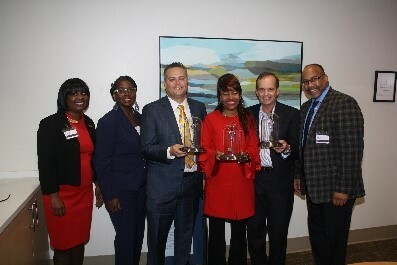 PHOTO 3: Each member of the VITAS leadership team received a "Key to the NBNA New Orleans Chapter." The engraving said, "Action is the foundational key to all success." VITAS® Healthcare, a pioneer and leader in the hospice movement since 1978, is the nation’s leading provider of end-of-life care. Headquartered in Miami, Florida, VITAS (pronounced VEE-tahs) operates 44 hospice programs in 14 states (California, Connecticut, Delaware, Florida, Georgia, Illinois, Kansas, Missouri, New Jersey, Ohio, Pennsylvania, Texas, Virginia and Wisconsin) and the District of Columbia. VITAS employs 11,621 professionals who care for terminally ill patients daily, primarily in the patients’ homes, but also in the company’s 29 inpatient hospice units as well as in hospitals, nursing homes and assisted living communities/residential care facilities for the elderly. At the conclusion of the third quarter of 2017, VITAS reported an average daily census of 16,726. Visit www.vitas.com.